An excellent DVD. The aerial shots really did give it an extra dimension, and shows the best of the area as well as the railway. Also it was good to see the unsung heroes of the track gang, and Santa trains alike. A very good overview of the railway now, which with the Train from Spain will make an excellent snapshot in time for the future. Every railway enthusiast should have a copy of this DVD. Thanks also for the DVD which arrived yesterday and which we have already enjoyed. As always a superb production with your great camera work and editing. Also some great colours and very atmospheric shots in the Santa Specials and the trial steaming of the "engine from Spain". The use of the drone and the aerial shots added a great new dimension and as always Nicholas Owen was superb on the commentary. Just one suggestion from someone who has never visited the Ratty and that is a map of the route would have been nice. Again sincere thanks for a superb DVD. 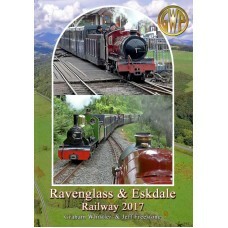 Just watched the latest Ravenglass release last night, what another brilliant and well put together programme. 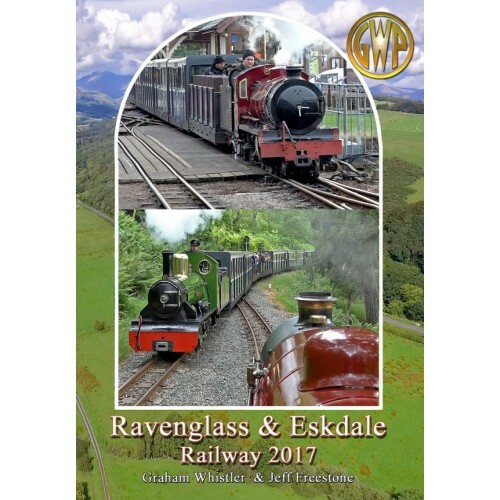 With excellent both on the loco and lineside footage River Irt and River Mite feature prominently, but Northern Rock and diesel Douglas Ferreira are also captured, plus behind the scenes with the Train from Spain plus late 2016 views of the new loco on test runs, a must have DVD for anybody interested in Ravenglass railway. (Regret not room for all; the very good review) That said this is a superb DVD – the quality of filming (including the aerial shots by Chris Munn) by Graham Whistler and Jeff Freestone cannot be faulted and the professional feel is enhanced by the authoritative tones of newsreader Nicholas Owen. I suggest everyone rushes to the Railway shops to buy one as soon as possible. Both ends of the line will of course stock the DVD which is also available in Blu-ray format. This DVD arrived earlier today and I have just finished watching it. This is another railway that I have visited many times with the family and I am privileged to own all the Ravenglass films. This latest production has been very skillfully filmed and is a wonderful portrait of the railway. The shots of all the locomotives featured are superb! Congratulations to all involved in making this film. A great job!